Page 6 - KaBOOM! 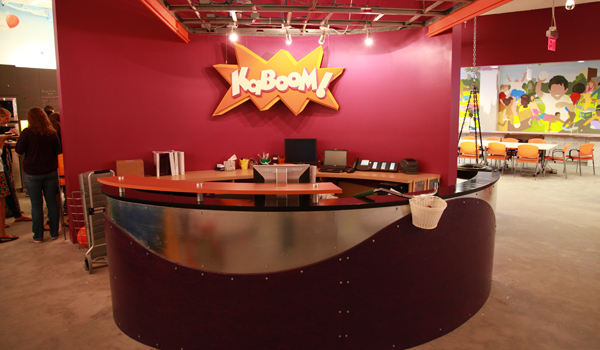 News | KaBOOM! 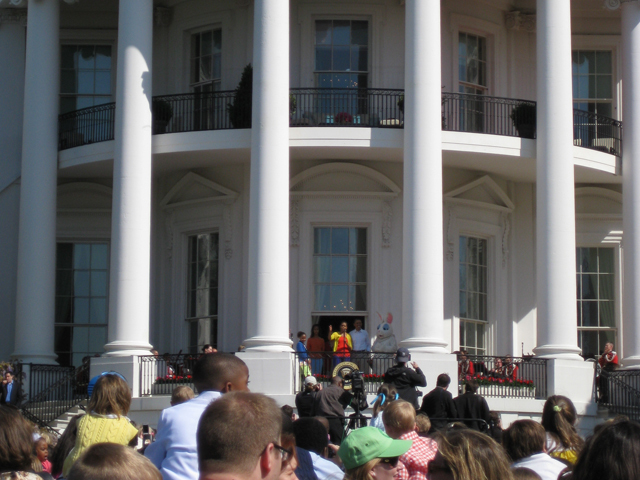 Our headquarters in DC has moved to bigger, brighter playground! 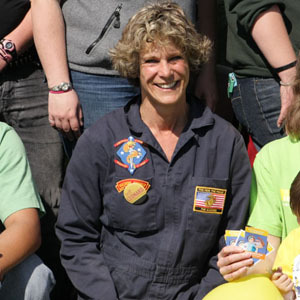 You may not believe it from the pictures, but we actually work really hard around here. 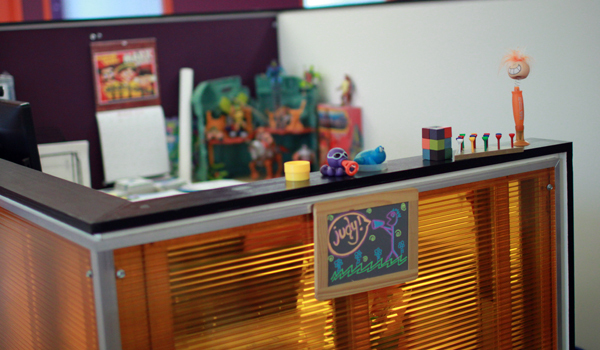 Because of course, work is most productive when it incorporates lots of play. 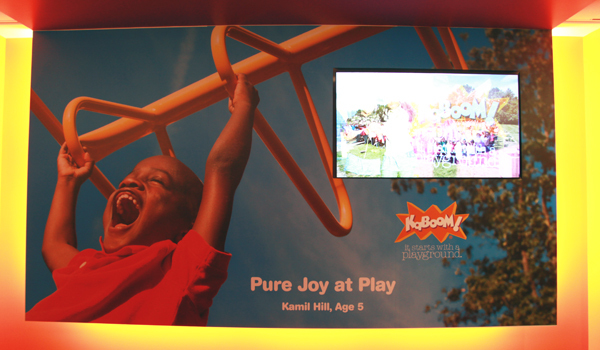 This uplifting photo greets you as you step off the elevator, and other images rotate on the TV monitor. 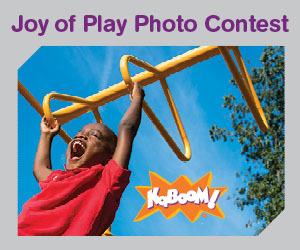 For staff, it's a daily reminder of the pure joy of play! As you approach the front desk, it quickly becomes clear that this is no 'ordinary' office. 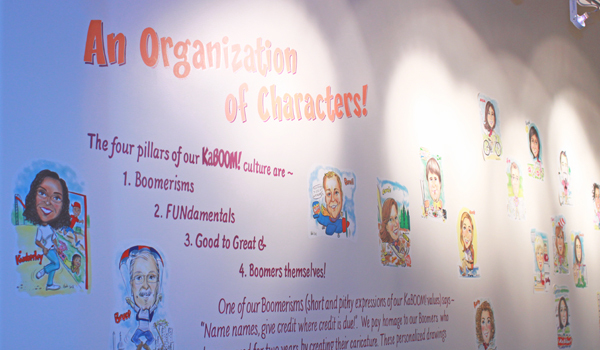 On your left, you'll see our wall of 'Boomers,' as we at KaBOOM! fondly refer to ourselves. By tradition, each staff member receives a hand-drawn caricature on his or her second-year anniversary. On your right, our lobby tire swing beckons. 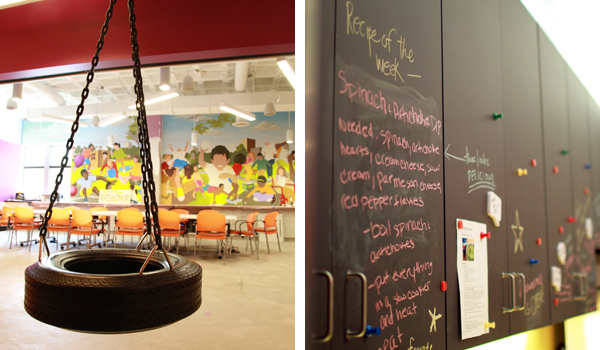 Around the corner, our kitchen cupboards double as office message boards and spaces for artistic expression. 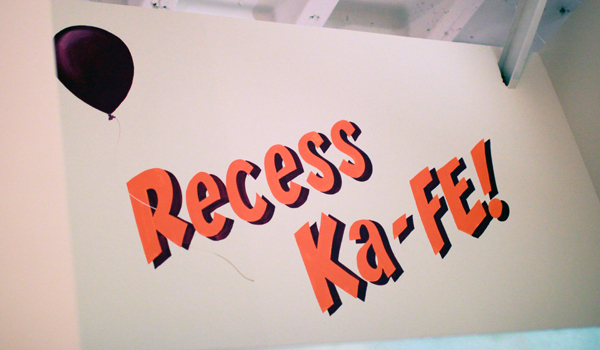 Our kitchen, lovingly dubbed "Recess Ka-FE! ", is a space to take a break, socialize, and enjoy some good eats! As always, our kitchen is stocked with PB&J, bananas, and other tasty snacks. 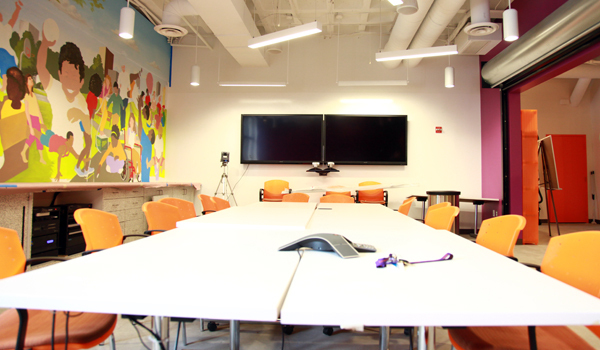 Next to the kitchen is the "Sandbox," our largest conference room, where some serious digging and creating takes place. 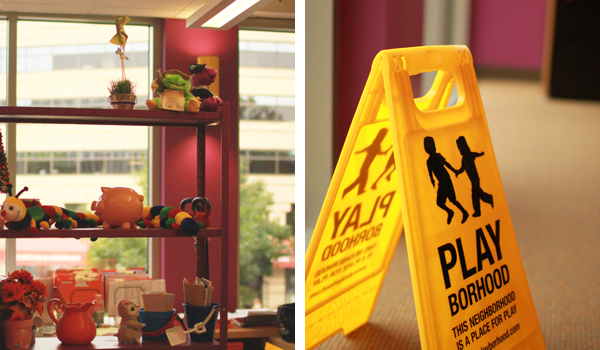 As you meander through the office, playful knick-knacks and treasures abound. Forget drab, gray cubicles -- our office pods are anything but! What is just as essential as a Xerox machine? 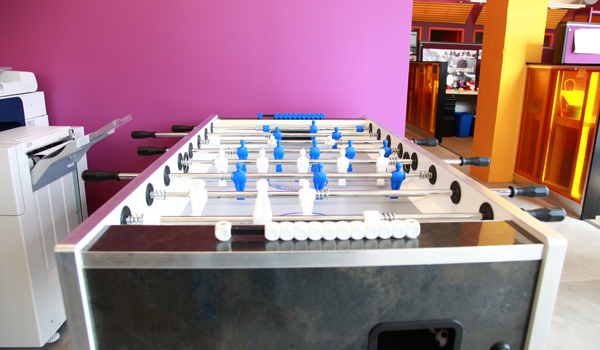 Why, a foosball table, of course! 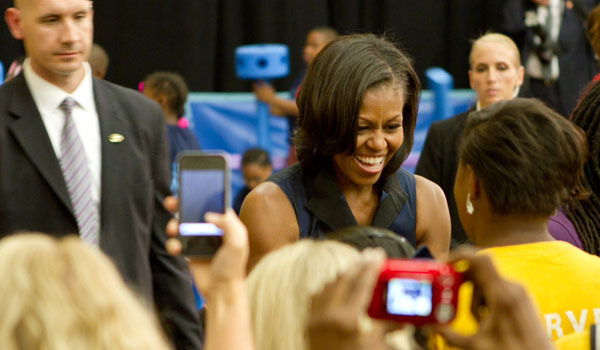 Photos by talented Boomers Frank Zhu and Lindsay Adeyiga. Just after sunrise on June 23rd, on a vacant lot in the south side of Chicago, 250 corporate and community volunteers gathered to help us raise slides and bolt in climbers on the 100th KaBOOM! 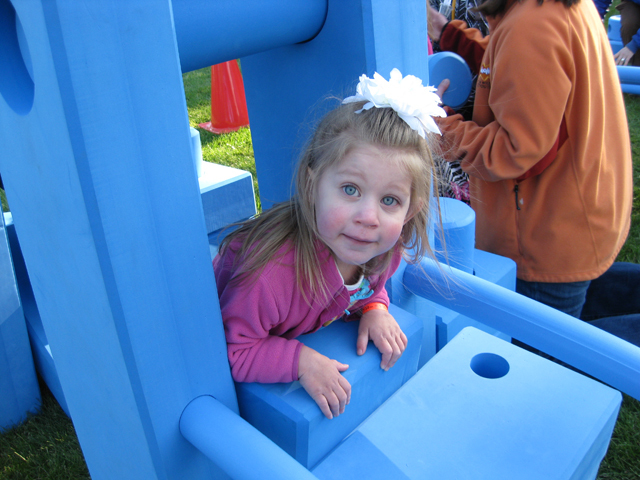 Playground in the City! 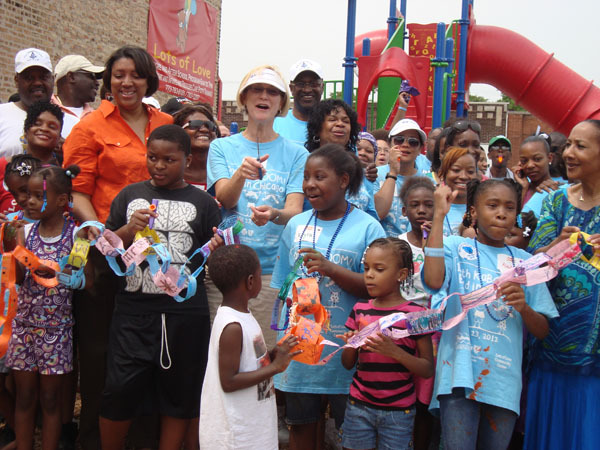 The project – sponsored by Blue Cross and Blue Shield of Illinois -- celebrated this amazing milestone project and the momentum that is building behind the goal of creating great places to play within walking distance of every kid in Chicago. 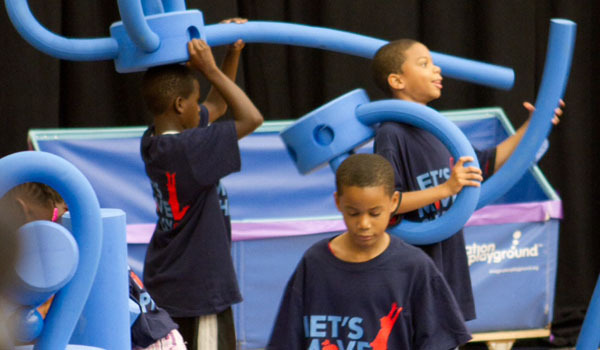 Mayor Emanuel has just unveiled a plan to pump $290 million into more than 800 parks and recreation facilities during the next five years. 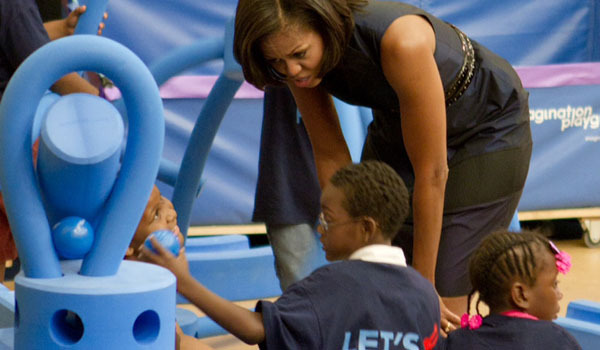 Chicago Public Schools made a groundbreaking decision to add 20 minutes to the school day to bring back recess for all children this Fall. 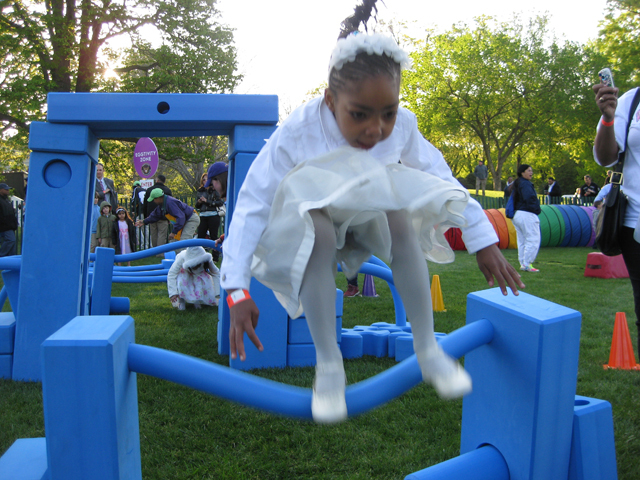 And – importantly -- there is an unprecedented level of citizen action and corporate investment growing behind the movement sparked by KaBOOM! 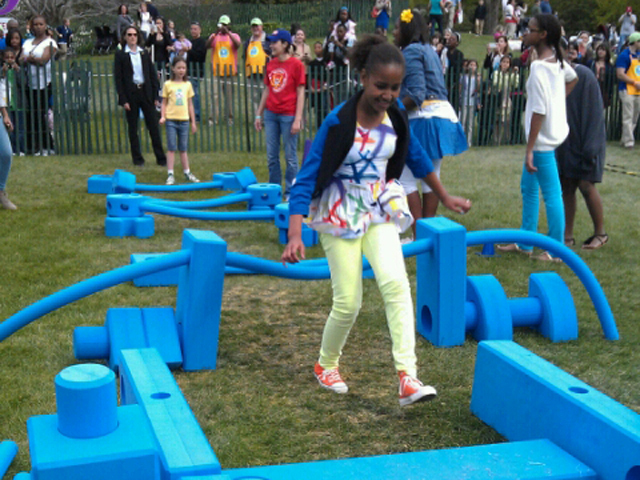 to make Chicago a playful city. 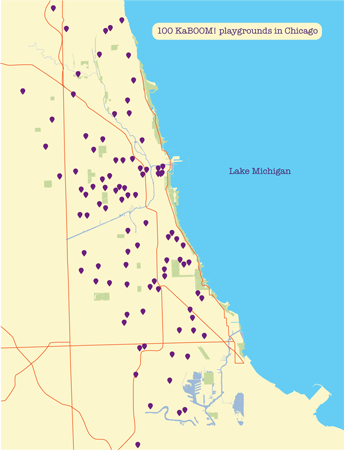 More than 30 companies have fueled our work to date in Chicago, notably Blue Cross and Blue Shield of Illinois, Kraft Foods Foundation, Dr Pepper Snapple Group, Discover Financial Services, CNA Foundation, American Academy of Orthopaedic Surgeons, Reedy Industries, Radio Flyer, Magnetar Capital, Chicago White Sox Charities, William Blair & Company, Motorola Solutions and others. 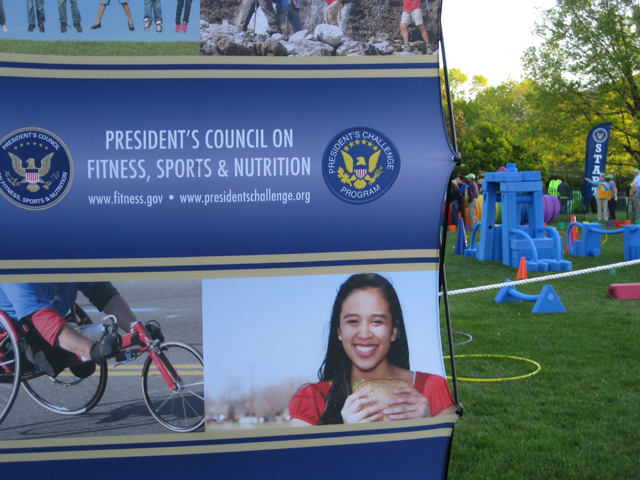 Check out our Chicago 100! Facebook album, where we reminisce about some of our most memorable Chicago builds. 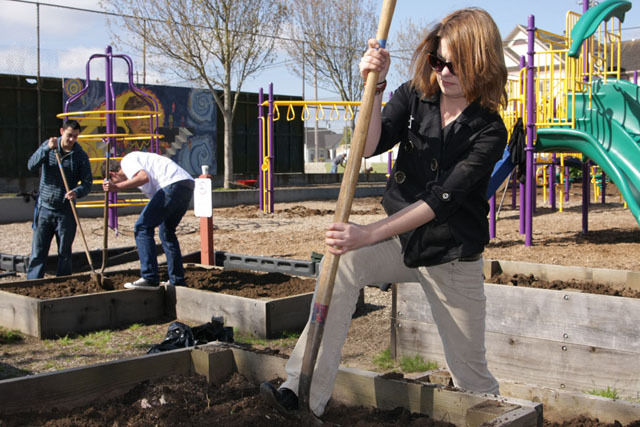 20,000 volunteers from every neighborhood in our city have pitched in to help us build our first 100 playgrounds! Blue Cross and Blue Shield of Illinois President Karen Atwood and energetic Blue Corps volunteers helped us lead the project. 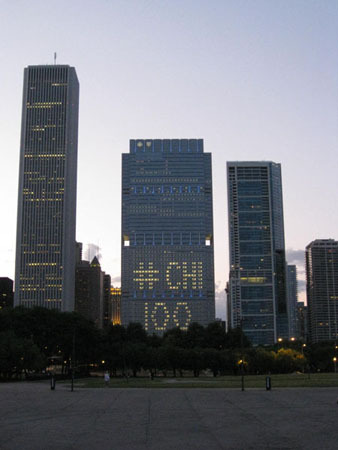 Blue Cross and Blue Shield of Illinois was “lit up” about the project, spotlighting it over Millenium Park and Lake Shore Drive!